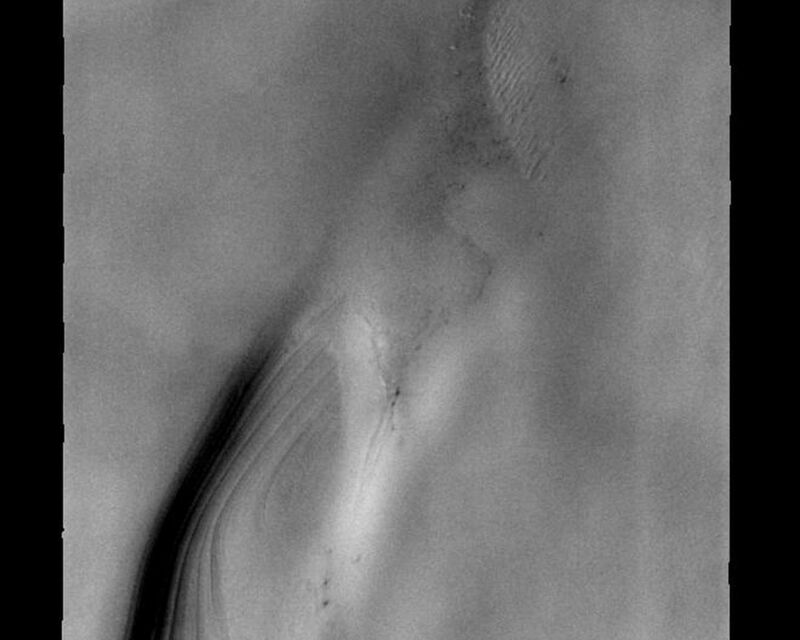 This image of the north polar layered deposits also contains sand dunes. Image information: VIS instrument. 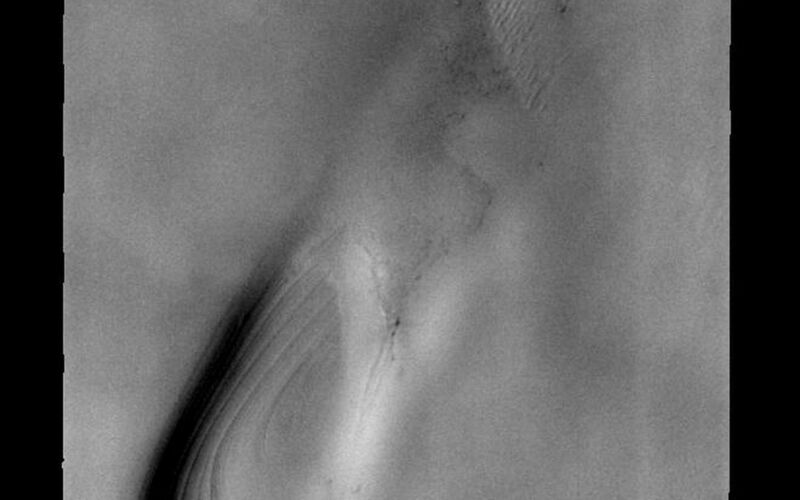 Latitude 85.1N, Longitude 155.2E. 40 meter/pixel resolution.